GOODNESS!!! There is sooooo much to see here!! You won't believe the beautiful view off the wrap around deck!! 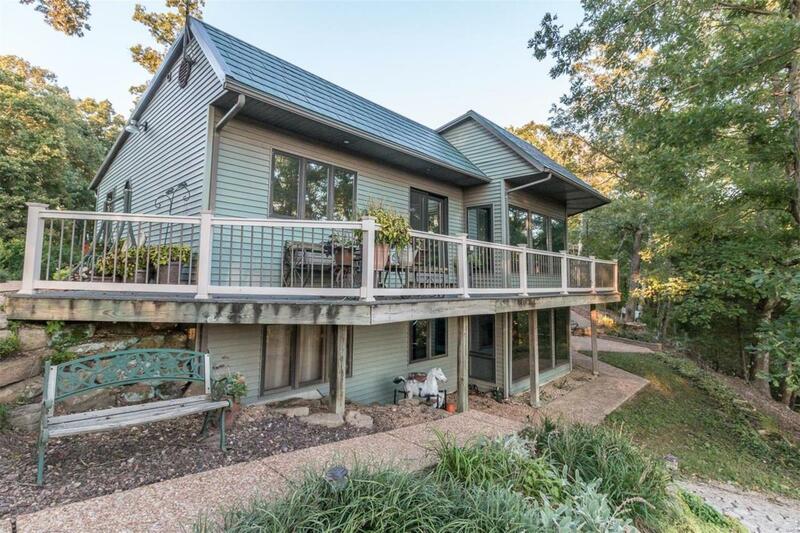 Large home on 7+/- acres fronting on the Bourbeuse River!! Home has more than 4200 square feet of finished living space!!! 4+ bedrooms, 4 baths, large living room, beautiful functional kitchen with lots of cabinets and countertop space, den/library plus built in workspace/desk, spiral staircase and full finished basement with second kitchen, huge master suite, additional bedroom, family room with fireplace, wood burning stove, and so much more! Home is full of windows for enjoying the beautiful view of the river! Outside you'll find a wrap around deck, an aggregate sidewalk, a 30 x 50 outbuilding, swimming pool with nice deck and gazebo, large covered patio, covered RV parking all on 7 beautifully landscaped acres. This place is for people who love to be outdoors!! Additional acreage available.